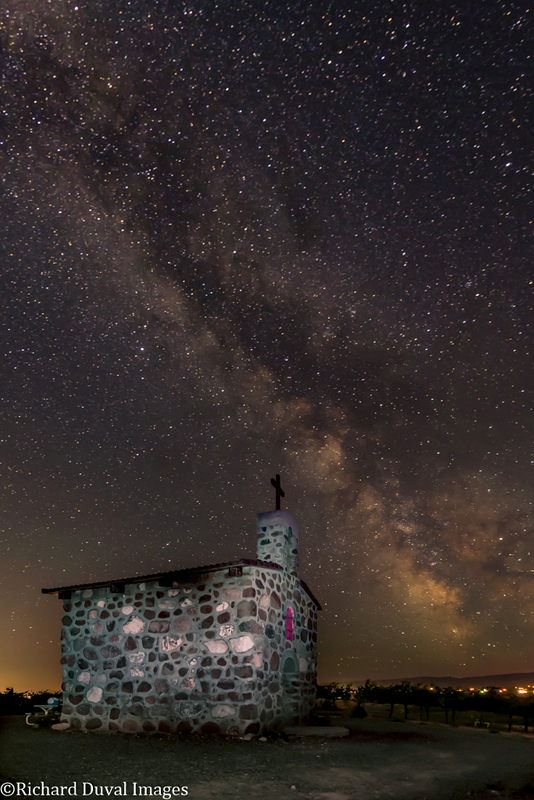 A round-up of stories on Northwest wine from August 15th to 21st. Read previous round-ups here. Wine Spectator writes about donating $1M to WSU’s viticulture and enology program. The New York Times writes about Yakima Valley. Wine Enthusiast says Oregon Riesling is the best in the west. Harvest has begun in the Northwest. 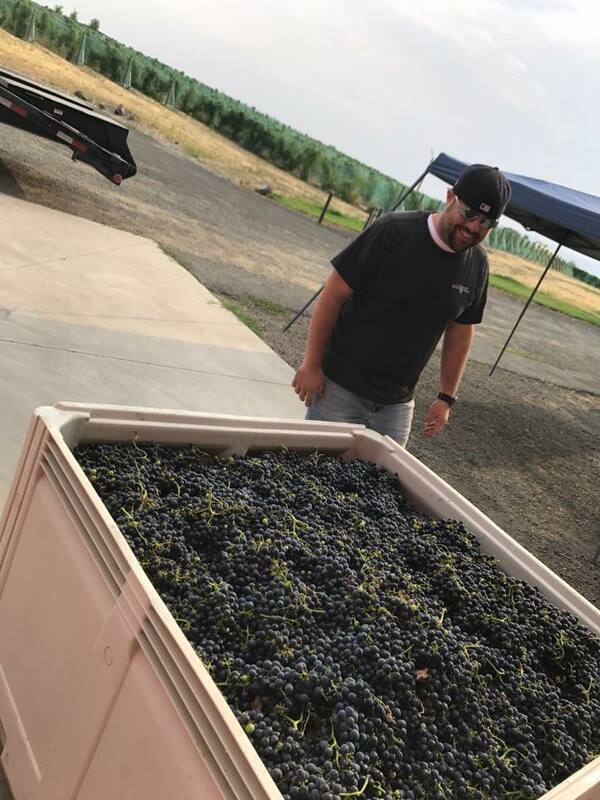 Ryan Driver, vineyard manager at Tertulia Cellars, reported harvesting Tempranillo (21.2 Brix) today for rosé at the winery's Rivière Galets Vineyard in the Rocks District on the Oregon side of the Walla Walla Valley. 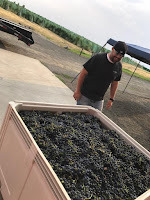 In the Yakima Valley, David Minick reported harvesting Pinot Noir for sparkling wine at Precept's Canyon Vineyard Ranch. Winemaker Aryn Morell (Matthews, Tenor, Alleromb, Gård) said that he will begin harvesting Pinot Noir and Chardonnay on Thursday August 24th for a sparkling wine project. The fruit will come from Solaksen Vineyard, a Lawrence property in the Columbia Valley. Most growers and winemakers I've spoken with have said that they expect to start bringing in white wine grapes either at the end of August or beginning of September. Red wine grape harvesting is expected to begin in the second week of September, considerably later than recent (warm) vintages. Picture courtesy of Ryan Driver, Tertulia Cellars. This post has been updated to include the harvest at Canyon Vineyard Ranch. A round-up of stories on Northwest wine from August 8th to 14th 2017. Read previous round-ups here. Shanghai Daily writes about Washington wine. 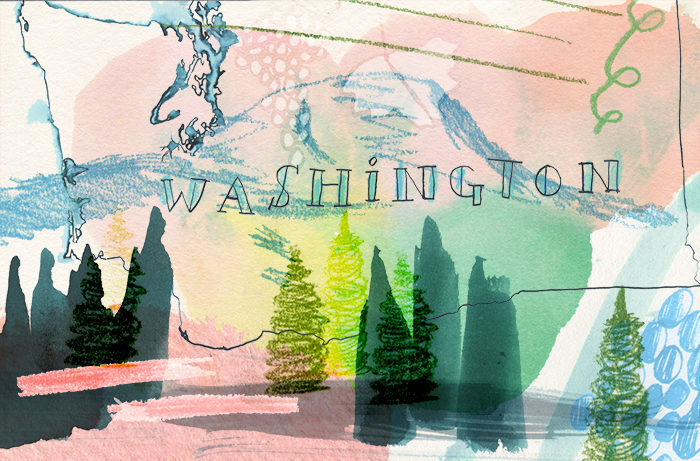 Wine Enthusiast writes about the diversity of Washington State wines (article by yours truly). Below are my Wine Enthusiast reviews for August 2017. Wines are listed alphabetically by winery. Read additional information on how I review wines here. All of these reviews are freely available on-line at the Wine Enthusiast Buying Guide. There is also a freely available Wine Enthusiast Tasting Guide app. See previous Wine Enthusiast reviews re-published in this space here. Search Wine Enthusiast's on-line database here. 153 wines reviewed in the August issue of Wine Enthusiast. Avennia continues to make some of the best wines in the state (Avennia 2014 Valery Columbia Valley $50, 92 points; Avennia 2014 Sestina Columbia Valley $65, 91 points). Below are my Wine Enthusiast reviews for July 2017. Wines are listed alphabetically by winery. Read additional information on how I review wines here. All of these reviews are freely available on-line at the Wine Enthusiast Buying Guide. There is also a freely available Wine Enthusiast Tasting Guide app. See previous Wine Enthusiast reviews re-published in this space here. Search Wine Enthusiast's on-line database here. 125 wines reviewed in the July issue of Wine Enthusiast. They include a great Syrah from Eight Bells (Eight Bells 2014 Eight Clones Red Willow Vineyard Syrah Yakima Valley $35, 92 points). A round-up of stories on Northwest wine from July 22nd to 31st 2017. Read previous round-ups here. Wine Spectator writes about an ownership transition at Adelsheim. Boise Weekly says to think pink, with a recommendation of the 2016 Dunham rosé. The Minneapolis Star Tribune makes the Cooper Hill Pinot Gris its wine of the week.